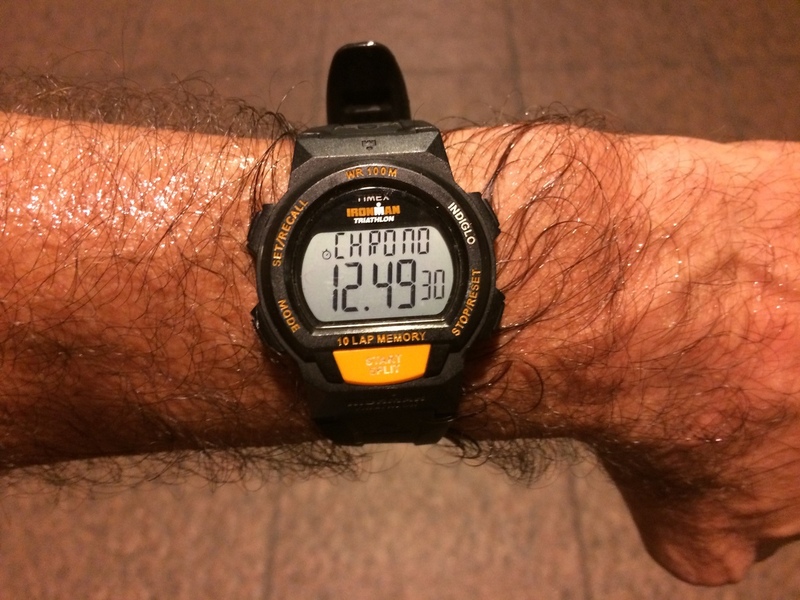 Tonight’s stair adventure was yet another session at the Wells Fargo building in downtown L.A. Tonight, I wanted to try for four climbs, and to try and do a consistent pace for all of them. That meant not trying to go particularly fast the first couple times up. Last year, I was able to do this easily, but this year, it’s been a lot harder. 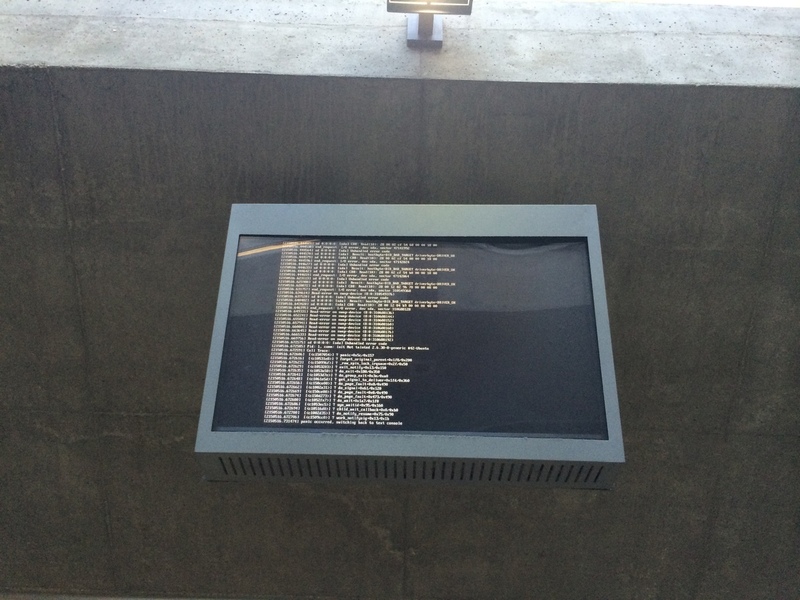 On the way through Union Station, I noticed that the monitor that’s supposed to display the Gold Line comings and goings, was instead just showing a screenful of error messages. At least Metro has the sense to be running Linux. When I got to the building, I got in line, and headed up the stairs. 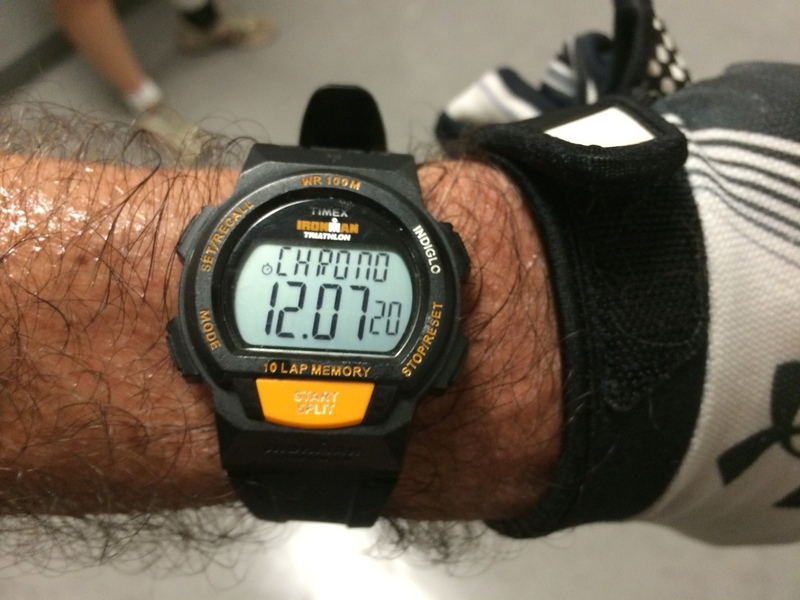 I was aiming for my Vertical Mile pace, which is 4 1/2 floors per minute. In this building, that would get me to the top in about 11:45 or so. 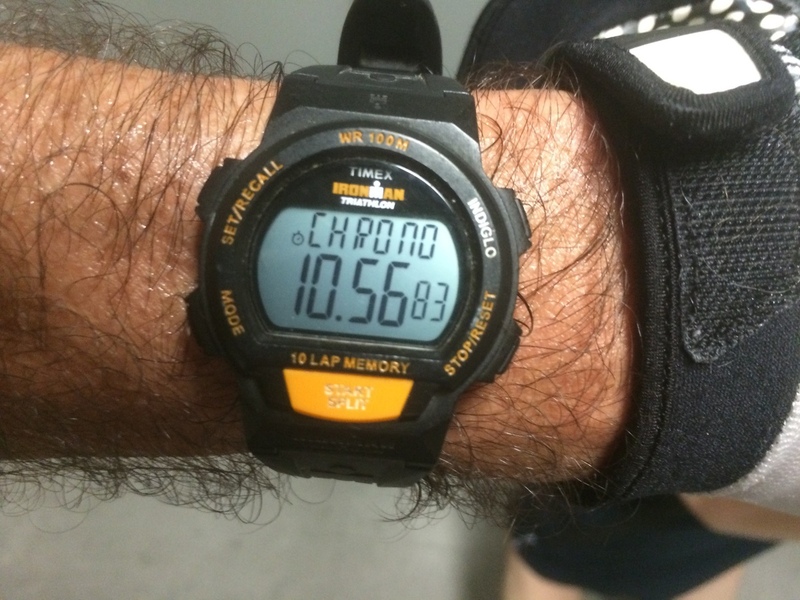 I went a bit faster the first time, but I was deliberately not pushing the pace. 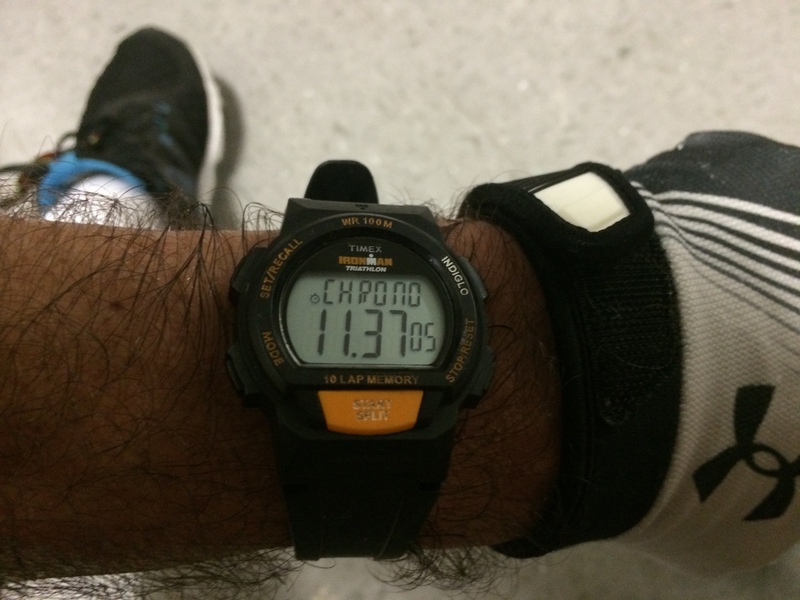 The second time, I was just about on pace. The third and fourth times, I was a bit off, but not by much. And my average for the four climbs works out to be almost exactly my target pace. So, overall, I’m not unhappy with this evening.